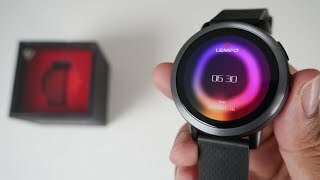 A well-known manufacturer of wearable electronics LEMFO as it is very very quietly released a new 4G smart watch LEMFO LEM 8. They will go on sale from October 20, and the first copies will be sent from November 11 to 30, depending on the workload. The manufacturer appreciated this Smartwatch Phone at almost $180. As for me, LEM 8 – it’s not exactly a new watch, but something in between LEM7 and LEM X. 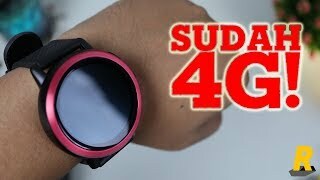 We compare these models another time, but for now let’s go through the main characteristics and features of the new smart watches with smartphone functions. The gadget case is titanium, with a diameter of 48 mm and protected from water and dust according to the IP67 standard. By design, this watch is more like the more massive LEM X, and the characteristics largely coincide with the LEM7. The watch is equipped with a 1.39-inch AMOLED touch screen with a resolution of 400 * 400 pixels. On the right side of the case there is a single button and a camera lens with a resolution of 2 MP. The previous model is equipped with the same camera, and LEM X has cameras with a significantly higher resolution of 8 MP. Under the hood, the MT6739 quad-core processor is paired with 2 GB of RAM and 16 GB of internal storage. The equipment is controlled by the operating system Android 7.1. Like most watches from this manufacturer, the new gadget has a slot for a Nano SIM card, this time with 4G LTE support. There is also support for WIFI, Bluetooth 4.0, a built-in GPS module and a barometer. In addition to calls from the watch itself, support for notifications about calls and messages from a connected smartphone, downloading additional watch dials, a weather widget, an alarm clock and other smart functions, the device can perform various fitness functions. LEM8 can determine the speed, trajectory and distance using the built-in GPS, count steps, calories and distance, measure heart rate, evaluate the quality of sleep and track various sports modes. The LEM 8 Smartwatch Phone is powered by a 580 mAh battery. As for the cost, then, as we wrote at the beginning, LEM 8 costs from $170 in red and gray colors. this smart watch support also the navigation system glonass or only gps ?